Time Machine is an aerial view of your check-ins laid out chronologically. It plays back at warp speed, laser-like streamers of color dashing from one check-in to the next. A sidebar shows you stats about your check-ins while locations flash up across the screen. You can pause at any time and advance through places one at a time, or scrub through the record at an accelerated pace. 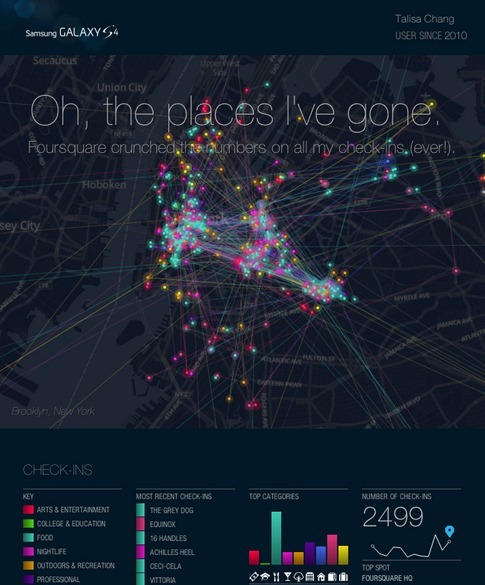 You can even save infographics about your Foursquare usage. 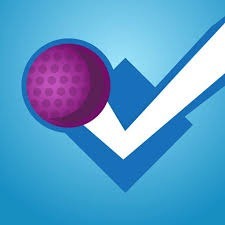 This web app is very slick – it actually makes me wish I used Foursquare more.